need to communication or not all at. messages(typically on distributed memory architecture). article, programing example is using MS-MPI on windows hpc server. each platform(Win32/X64), choose "Include Files" in "show directories for"
each platform(Win32/X64), choose "Library Files" in "show directories for"
1. Create a new empty win32 console application in your VS. Process is running on host[hpc-01]. Cmd.exe shell, change your dir to $(Hpc Pack 2008)\Bin. Cluster Manager to monitor the progress of your Hpc application. Worker Process  of  is running on host [hpc-03]. Process  of  is running on host [hpc-02]. on MPI by William Gropp. 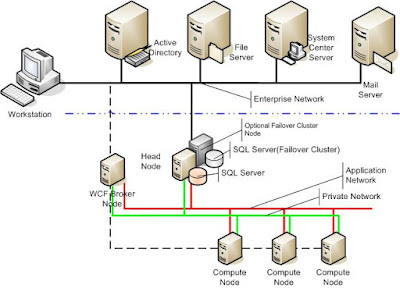 HPC Server 2008 - Using MS-MPI whitepaper .